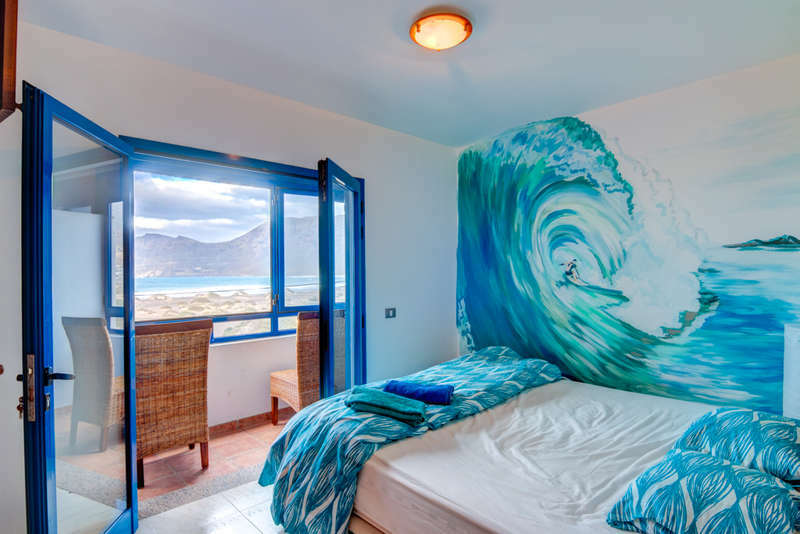 Red Star Surf Houses are located around 100 m from the ocean, and the beaches of Famara and San Juan are only a few minutes walk. The Surf houses offer private single and double rooms. 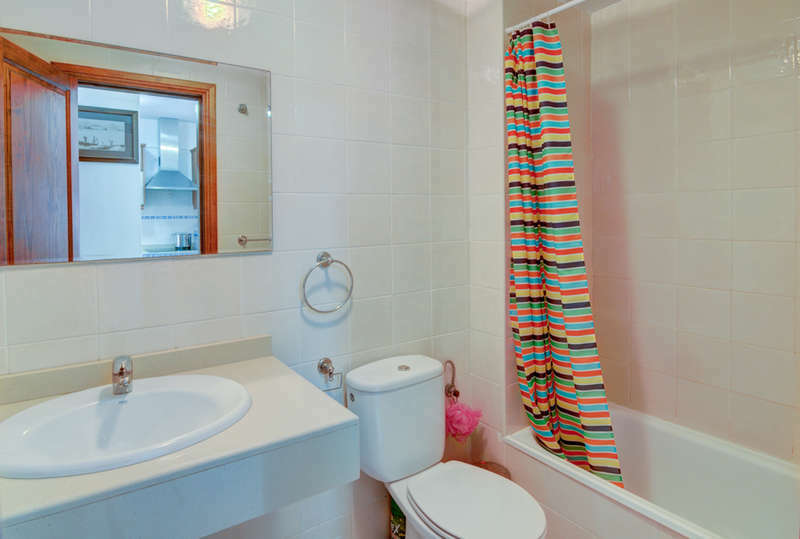 Each guest has access to a shared bathroom with a shower, a shared fully equipped kitchen. 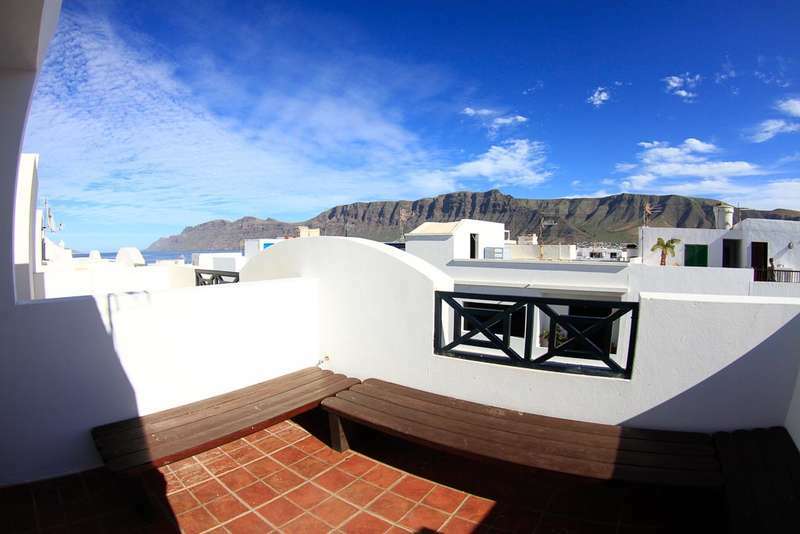 2 of three houses have a rooftop terrace with stunning ocean and mountain view. In the common lounge with access to the little terrace, guests can relax after the tiring day of surfing, kitesurfing or yoga, looking through some surfing magazines or enjoying the big flat screen TV with plenty of surfing movies. The most convenient way to get to our surf school is by a taxi cab. The ride will take you 25-30min, and will cost about 35-40 euro. Taxi is available at the airport 24/7. Renting a car is an equally convenient way to get to Famara. You will be able to save money on cab fare as well as plan an intensive cultural program including visiting the most interesting sights and exploring the island. The average rental charge is 120-150 euro/week. We work with Payless Car Rental which is located at the airport. To make a car reservation you only need to provide us with your full name and flight data, and rental period. You will be able to pick up the car either at the airport, or in Famara upon arrival in our surf shop. Unfortunately, we can´t offer this service. The local laws prohibit us to pick up people from the airport. Please, make use of one of the other options. Thanks for understanding. Upon arrival at Famara you need to stop by our surf shop which is located in the main street – Avenida el Marinero 9. Let us know if you cannot arrive within the working hours of our surf shop (10:00 -18:00). In case of major changes to your plans, please, contact us. after, during the arrival or course date, no show 100%. RSS reserves the right to charge the total amount of the agreement in the case of physical injury of the customer at any time, consistent with the above. The right to transfer does not exist. By submitting an application Red Star Surf SL (hereinafter referred to as RSS) offers the customer a legal agreement. Application can be done in written, electronic, or oral form. The agreement is binding after the confirmation by RSS. The customer must state explicitly any medical concerns that may affect the practice of the sports provided by RSS. The customer acts at his own risk and declares his/her awareness about the danger of extreme sports like Surfing, Kitesurfing, Skateboarding and Stand-Up-Paddling, or any other sports provided by RSS. RSS accepts no duty of supervision over minors to travel, apart from its existing statutory safety duties.